The fear of flying, also known as aviophobia, is more common than people think. 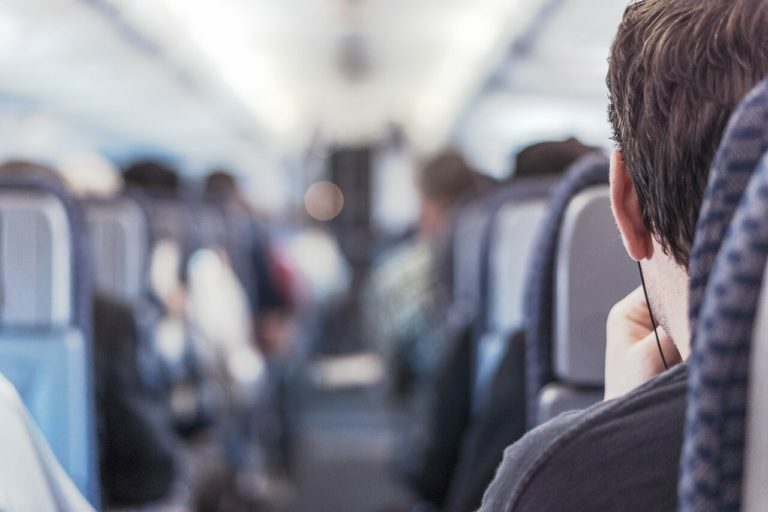 While the more severe form of the condition only affects 6.5 percent of the population, some 25 percent experience anxiety over flying. Fear of crashing, fear of heights, the lack of control, and fear of closed in spaces can all be root causes behind a person being nervous about flying. Symptoms of a fear of flying can vary from person to person. But regardless of how they manifest, this condition can negatively impact a person’s life in many ways. In today’s global society, travel is a major aspect of our lives, personally and professionally. Families and friends are spread out across the globe, with visits and vacations requiring air travel. Alternatives are costly and time-consuming, even for travel within the continental United States. Professionally, air travel has become almost unavoidable. Many companies require their employees to travel at one time or another, whether for training, business dealings, or to attend company events. Not being able to fulfill the requirements of your position could lead to a stagnating career, dismissal, or never being hired at all. Businesses are looking for flexibility in the modern workforce, and an inability to meet the demands of your position could make you an unattractive candidate. Can you live with a fear of flying? Absolutely. But why should you if you don’t have to? In the New Jersey area, Advanced Care hypnosis offers relief from this limiting condition. Through their work with hypnosis,, they can help change the way you live for the better. Hypnosis has been proven to be an effective and promising technique to alleviate conditions like the fear of flying. “ There’s general agreement that hypnosis can be an important part of treatment for some conditions, including phobias ,” says Penn State psychology professor William Ray. Studies have shown that it can remove the emotional experience while allowing the sensory sensation to remain. You are still flying, but without the negative emotional reaction to being in the air, or on the airplane. Hypnosis, which is a form of psychotherapy,can help where past treatments and therapies may have failed.According to NIMH, “Specific phobias respond very well to carefully targeted psychotherapy.” Opening up your subconscious with hypnosis creates a hyper-responsive mental state that will allow for healing and treatment. Dealing with the root cause of your phobia can lead to a safe and effective solution to your fears. Having the chance to live life without the fear of flying is within your grasp. Though undergoing a new treatment method, such as hypnosis, can seem daunting, don’t let that hold you back from claiming the freedom that you desire and deserve. Daniel at Advanced Care Hypnosis will work with you to bring your phobia under control so that you can take part in the things that you’ve been missing. Travel. Career advancement. Vacations with loved ones. Less anxiety, fear, and worry. These are just some of the things that you can gain from effective treatment of your fear of flying. Think of what you have been longing to do, but have held back on because it required you to get into an airplane. And now imagine yourself doing it, without any of the negative emotions that you have carried around all this time. Hypnosis can set you free from the burden of your fear of flying. Take that step and you can finally do the things that you have always longed to do.